As a worship leader, when looking for ways to improve, I bet your mind wanders to things like: improving as a musician and vocalist, finding better gear, and getting a better grasp on sound and lighting. But, there is one thing that we don’t think of that might actually be the most important: communication. We tend to write it off as something the pastor should be doing. I mean, why should we worry about communication – we are musicians! Truth is, great leaders are great communicators. If you want to serve your team and congregation well, it is worth your time to learn how to become a better communicator. Just because you said it doesn’t mean they heard it. If you have been leading worship for long, I bet there’s been a time when someone didn’t show up for rehearsal even though you told them about it. Or, maybe you asked your guitarist to drop out at a certain point in the song…but they didn’t. When something like this happens, you could blame it on the other person (and probably have in the past). But truth is, you have failed to be a good communicator. Maybe they didn’t understand what you said. Or, you didn’t wait until you had their full attention. Bottom line, as a leader the communication breakdown falls on you. Instead of blaming others, find ways to be a better communicator. Communication should always be “you” centered. Our church is opening a new service and we need to provide the same worship experience for all of our services. I will need you to stay an extra hour on Sundays to play for the new service. Our church is opening a new service and you have an opportunity to use your amazing skills in an even greater way to help further the kingdom of God. You are an amazing asset to the team and I’d love for you to be a part. See the difference? The first option would probably work, but the second option would ignite passion and get the team excited about volunteering more of their time. Say it once…and then keep saying it. Never be afraid to repeat. And when you do repeat, say it in a different way to help drive the point home. Even a slight change in the way you say things can make a huge difference. If you are having a rehearsal that is out of the norm, tell them in person, send an email and send a text. Even send a reminder several hours before to make sure they didn’t forget. 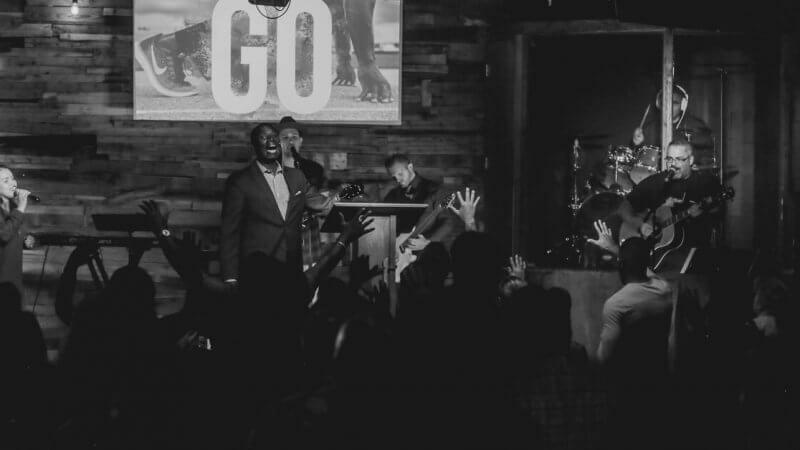 If you are trying to ignite passion in the team, share your vision for the worship team. But, don’t just say it once or even on occasion. Find ways to communicate your vision every time you get together in a slightly different way. There is so much to learn when it comes to communication, so don’t let it stop here. Seek out resources and spend regular time improving your communication skills. It will make you a better leader with greater impact. Some great advice here. I love your example about communicating facts vs. igniting passion. Thanks for sharing!